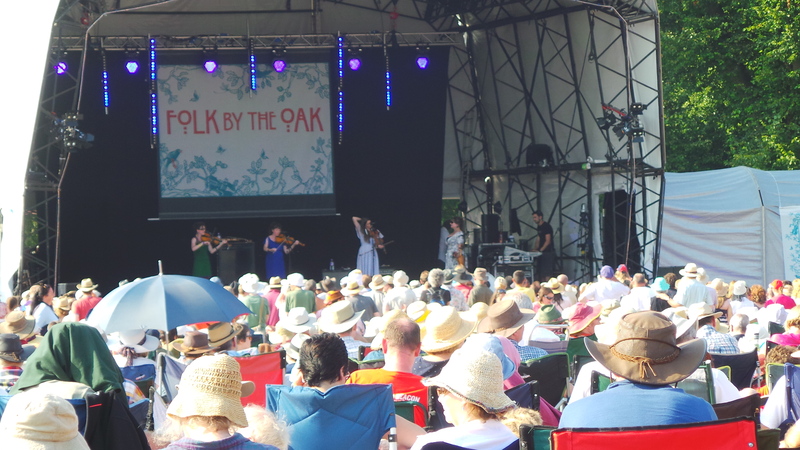 I can’t believe it was so long ago that we went to Folk By the Oak 2013 at the beginning of the summer in July. I’m a fan of family festivals as you know, but I’ve never been to a ‘folk’ festival, so I was intrigued to see what it would be like. I needn’t have worried and I can tell you now that if you aren’t sure about going along to a big family festival, then this is definitely the chilled way to go! Also, if you live in London it’s so easy to get to as well because you just walk straight out of the train station and up the road to Hatfield House – perfect. Kids love the folk music as there is something in it that reminds us of our roots and gets us jiggling. 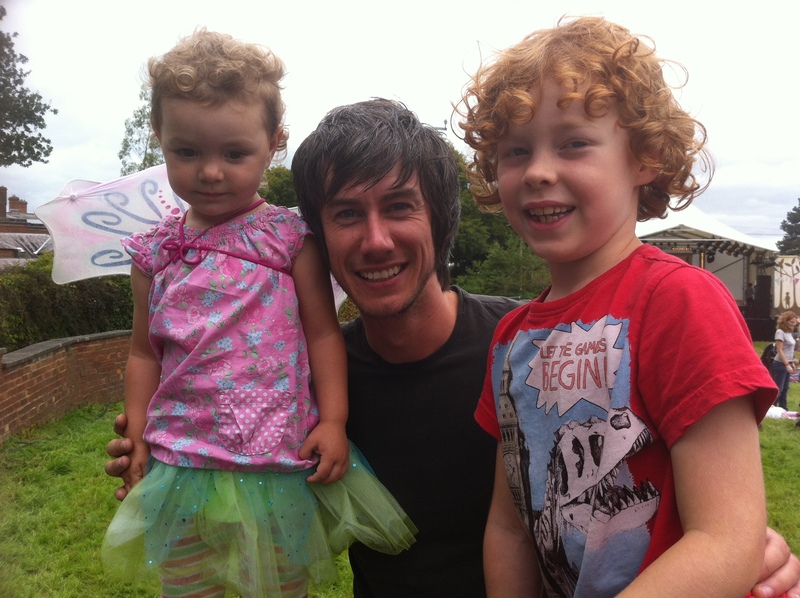 Plus folk festival goers are intrinsically well behaved, so it’s the perfect option for a family. The BIG TIP that I discovered was not to sit in the throng of things and expect the kids to stay with you, but instead sit off to one of the sides, where there are more kids and some space for them to run around. Check out my other tips here. Plus I gave them both a budget, so that we had a look around at all the stuff and then they had to pick and choose. This way, it wasn’t all about them doing stuff all through the day, but they got to chill and listen to the music or play. Hows about the music? There was some fun traditional folk music, which I really enjoyed. But much of it was more lovely voices singing – simple as. Then there was the guy with the electronic guitar, which Curly Headed Boy loved; definitely a new way of listening to ‘Strawberry Fair’! Now that you are gutted that you didn’t go, I have some good news for you! Check out some of the other folk/acoustic music here and you will see what a mixture it is going to be. And if you are fascinated by why folk music has a enthralling magic to it, then check out this radio show by Tamsin Rosewell where she looks at some of the artists at Folkstock. She explains it much better than I can – there is just something very ‘ancient’ in the music that we can all enjoy, even if you are normally clubbing it on a saturday night or listening to Xfactor. Plus she has a lovely way about here; I’ve listened to this show several times while chilling out reading a book at the end of a hectic day. In a summer holiday that has frankly been difficult as we’ve been working all through it, without the money for camps etc, Folk by the Oak was a lovely treat to start the summer with and Folkstock will be a great way to round it off. We didn’t manage to go to any bigger festivals this year, or go camping, so I’m really chuffed that we’ve found this slightly easier alternative. Hope to see loads of you in a couple of weeks at Folkstock! Disclosure: I’m part owner of Espiritu, so clearly I’m going to pimp it out! 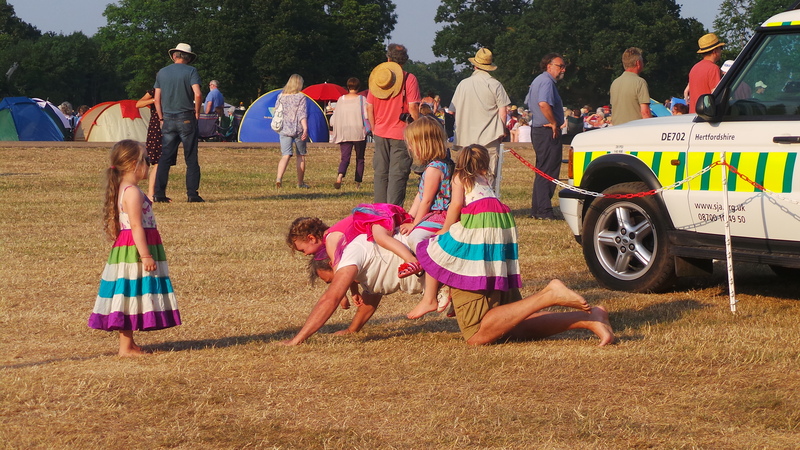 I was given a family ticket to Folk by the Oak, but I would have gone anyway, and we have also got a family ticket for Folkstock, but again I would have gone anyway – don’t tell them that though! Can’t wait to see you gorgeous @anya!